The National SAR site at www.SAR.org describes the SAR and its activities. The page contains information on essay and oration contests, U.S. history, other lineage societies, and genealogy resources. Visit also the website of our Compatriots, The Santa Barabara Chapter of the SAR. April 25-27, 2019. THE 144th ANNUAL MEETING OF THE MEMBERSHIP OF THE CALIFORNIA SOCIETY, April 25 – 27, 2019. 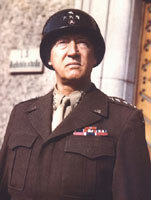 Hosted by the General George S. Patton, Jr. Chapter Ventura Beach Marriott 2055 E. Harbor Blvd, Ventura CA 93001. Reservation Form. Information about the 2019-2020 contest is available here. WELCOME-- The General George S. Patton, Jr., Chapter of the California Society of the Sons of the American Revolution is dedicated to patriotic, historical, and educational activities, including the perpetuation of the memory of those who, by their services or sacrifices during the war of the American Revolution, achieved the independence of the American people. carry out the purposes expressed in the preamble of the Constitution of our country and the injunctions of Washington in his farewell address to the American people. WHAT AREA DO WE SERVE? -- The Patton Chapter serves Western Los Angeles and Ventura counties, including the communities of Calabasas, Camarillo, Canoga Park, Chatsworth, Fillmore, Hidden Hills, Malibu, Ojai, Oxnard, Santa Paula, Simi Valley, Thousand Oaks, Topanga, Topanga Beach, Ventura, West Hills, and Westlake Village, California. The Chapter typically conducts a business lunch on the second Friday of each month. Color Guard: Each year uniformed Chapter members participate in color guard activities, including the of Massing of the Colors in observance of Washington's birthday, Veterans Day, and other civic occasions. Veterans Affairs: Under the leadership of Compatriot Col. Robert Colbern, Chapter members collect clothing, books and other items for donation to the Veteran Administration Hospital in Prescott, Arizona. LADIES AUXILIARY--The Patton Chapter participates in the Ladies Auxiliary program; for further information contact Rose Marie Risley at (805) 647-0751.